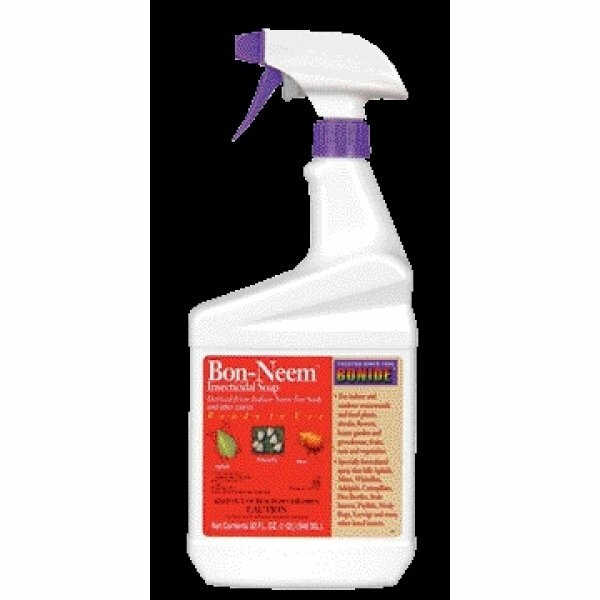 The Bon-neem Multi-purpose Insecticide and Repellent is for fruits, vegetables, flowers and ornamentals in and around the home. Bion-neem kills or repels aphids, beetles, caterpillars, leafminers, thrips, whiteflies and other pests. Bon-Neem Insecticide has different options and/or variations, please choose below. The Bon-neem Multi-purpose Insecticide and Repellent is for fruits, vegetables, flowers and ornamentals in and around the home. Bion-neem kills or repels aphids, beetles, caterpillars, leafminers, thrips, whiteflies and other pests. 16 oz Concentrate can not be sold in NY.